Stylish. compact SUV in a similar fashion to the Range Rover Evoque. Impressive fuel economy and low CO2. Two and four-wheel drive available. Front passenger space tight. Limited range of engines initially. Disconcertingly light steering at low speeds. No 1.6 TDI. 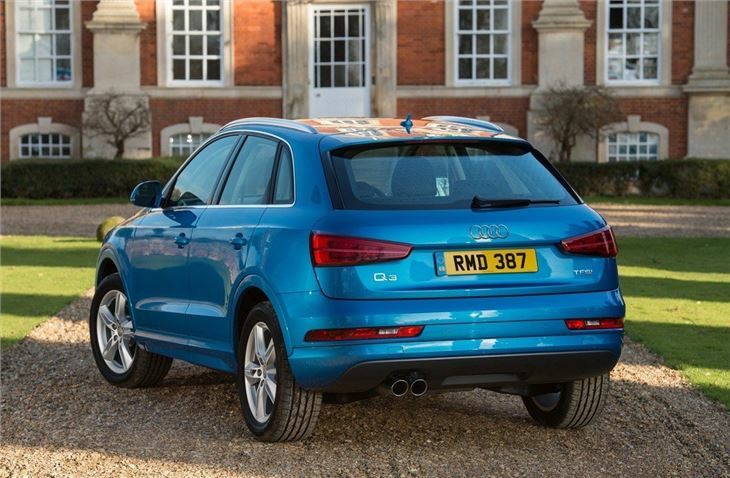 The Audi Q3 was one of a generation of compact posh-roaders back in 2011 that also included the BMW X1 and Range Rover Evoque when they were all shiny and new. 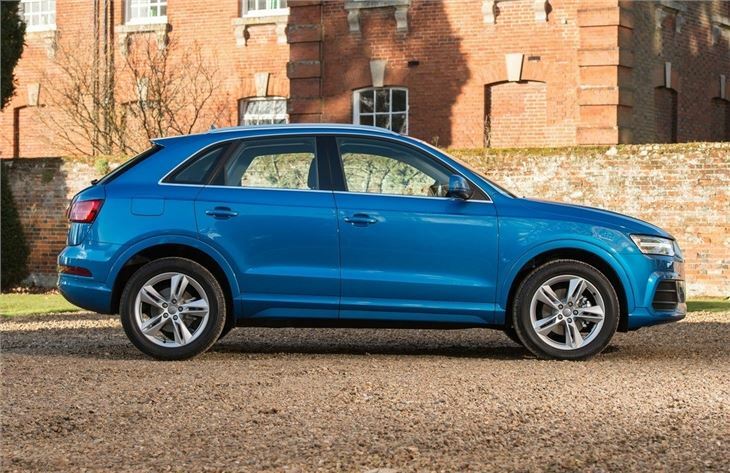 The trick that the Q3 manages to pull off is that it looks like a big, chunky SUV, yet is still roughly the same size as the A3 Sportback - just over four metres long. So it's kind of a posh crossover that's not actually that big. That means it's easy to drive around town and not tricky to park, although the turning circle is a lot bigger than you'd expect. Yet still has enough room to make it a good family car. So there's decent rear space and enough boot room for a pushchair plus a bit of shopping. 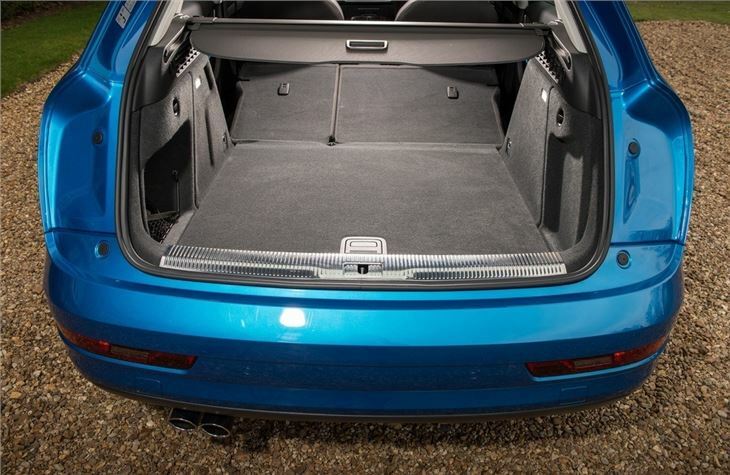 Despite the car's relatively small size, there's a 460-litre load bay and split folding rear seats as standard. In comparison, a standard hatch like the Volkswagen Golf has 380 litres. The other obvious advantage of the Q3 is the raised driving position which means you're less likely to collide with that pesky bollard in the Sainsbury's car park. We've all been there. It's not all good news though. 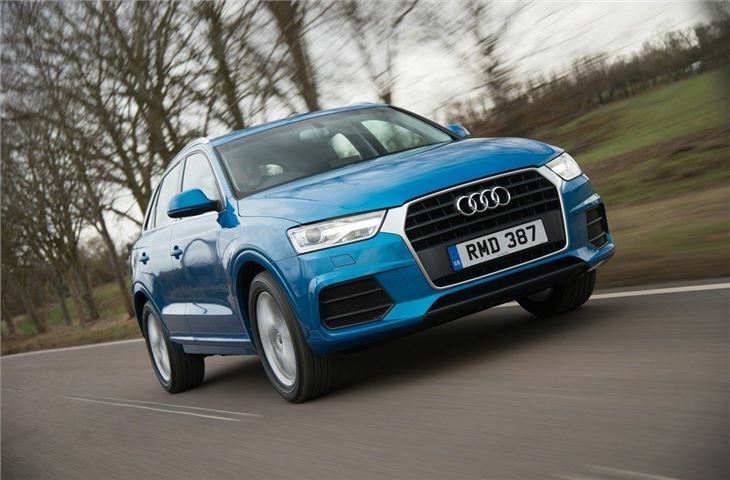 The Q3 handles reasonably well but the steering is a weak point. It's too light and feels overly artificial. 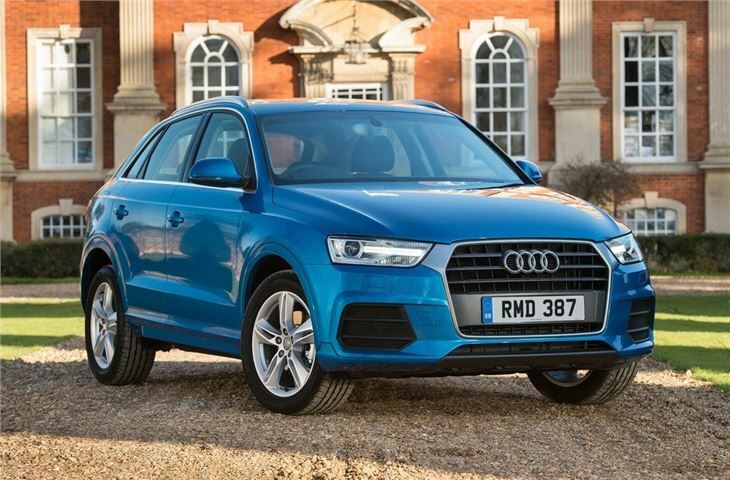 Even when the Q3 was facelifted in 2014 this wasn't improved. The ride is a bit hit and miss too. Go for an S line on big wheels and you'll find it the wrong side of comfortable. 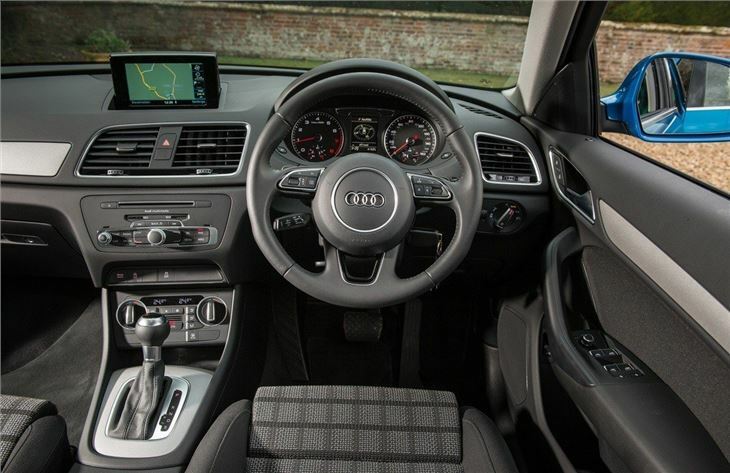 If you're not covering big miles, then the 1.4 TFSI engine is a good one to go for. It has 150PS and while it lacks torque somewhat, it provides smooth progress nontheless. You'll be lucky to get anywhere near the 50mpg claimed economy though. 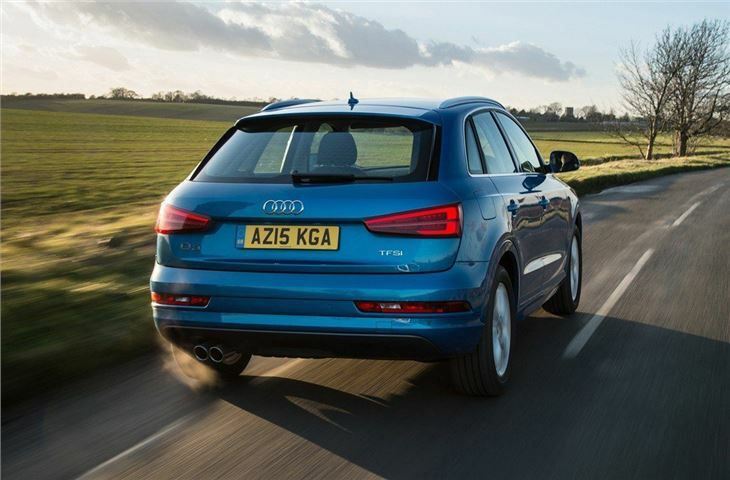 For big distances, the 2.0 TDI fits the bill in the Q3 - strangely there's no 1.6 TDI available. Go for the 150PS version and the official figures say you 'could' be seeing 62mpg on some models. Real MPG says more like late 40s, but that's not bad for this type of car. It may not have the desirability of a Range Rover Evoque, while the latest BMW X1 is nicer inside and better to drive, but the Q3 is still a very good family car and feels like a high quality motor. But compared to the rest of the Audi range, it's starting to feel quite dated already. A 'Tardis' in reverse! Looks large on the outside, but where is all the usable space inside...?